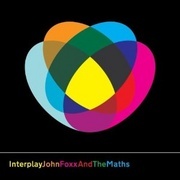 After a run of relatively oblique collaborations, Interplay sees John Foxx’ return to the role of pop architect, ably assisted by The Maths (aka Ben Edwards, Benge) who has graduated here with flying colours from studied technologist to certified song producer. With his memory banks reset by Edwards' box of retro delights, Foxx has taken the opportunity to reassert the grand arches of the mind on the pop of his salad days - a formula which rapidly became intellectually superficial and increasingly less expressive in his wake. The methodology at work seems to be "Elaborating outwards on his internal structures", as put in a recent interview with Ballardian historian Simon Sellers. The result is roughly what Ultravox would sound like in 2011 if Foxx had never left. Benge came to Foxx's attention with his Twenty Systems LP, which with a 'gear-gasmic' attention to detail documented the development of the synthesiser in a year-by-year account of 20 individual machines introduced from 1968 to 1987. Obviously a dream appointment for the Londoner, Benge has seemingly played Rick Rubin to Foxx's Johnny Cash - emboldening the old hawk and acting as a conduit to his old self. Comprised entirely of early analogue tech, with Metamatic's Arp Odyssey, the CR-78 drum machine and the seminal Yahama CS8o (think Vangelis) recommissioned, Interplay even manages to invoke some of the hand-made charm, the novice imperfections and the happy randomness which riddled early synth-pop. And with Foxx joyously letting rip for a spectacular vocal performance, there is also a little of the gaiety the electro pioneers displayed as they lived out their small-town dreams. Benge is a fetishist, this much is true, but his ability to draw out such intangible essences marks him out as an artist first and foremost. The Twenty Systems project was an almighty testimony to the unfulfilled potential of the synthesiser, but more importantly where Interplay is concerned it was a treatise on how technology alters meaning. It's essential to note that Interplay has nothing to do with regression, nor does it descend into over-familiarity. In fact, although the title is in reference to Foxx's purportedly syncretic relationship with his attuned collaborator, it could just as easily describe both Interplay's genuinely vital interaction with electronica's ongoing evolution and the push-and-pull between a contemporary feel and Foxx's classic sound. The album begins with the sound of Foxx being sucked backwards into the mainframe, first discorporated then reformed within the corridors of perpetual circuitry. Abruptly the audio snaps into focus, assuming into a lockstep pitter. From here on in we rove a non-space virtuality, an interzone if you like. The 808 beats and EBM modulations click and clack like wire-frame fingers against the perspex backdrop, before ceding to the wet silver solder of various piercing effects, while Foxx's vocals - taking from William Burroughs' croak on the Naked City recordings - lag and surge on a mutilated channel. It's in homage to the New Yorkan cold wave which the duo feasted on throughout the process; a scene which with its mythology of 'controlling electricity’ (i.e the hands-on appeal of rudimentary synths) chimes loudly with Foxx' increasing disdain for imitative software. Additionally Schoolwerth & Co's devotion to harsh beauty and lo-fi violence matches Foxx's descriptions of the original step-sequencers; that being the sound of the loudest overdriven guitar note played forever with just the application of a single finger - the same technology Foxx has been getting to grips with again on Interplay. That said, if you compare Foxx's breadth of reference to the Wierd / Captured crew's hermetically sealed pastiche - all circumscribed beats and slavish mimesis - you will soon get an idea as to where the new breed are going wrong. 'Shatterproof' is followed by the satirical, pop art 'Catwalk', a high-fashion surface-dream in the Bowie/Roxy/Madonna/Fischerspooner vein, with a slight tang of The Idiot-period Iggy to match the story charts Foxx's journey through the night in a (self-effacing) quest to land a model. A highpoint of the year so far, the archetypal Foxxian sound is paired with some bulldozing sub-bass. It's a retro-active dream come true and perfectly communicates Foxx' exhilarated lust as he meets with the marauding flash and ugly underbelly of the fashion world – a hulking universe all of its very own, both seductive and sinister in equal measure. On 'Evergreen' Foxx returns to his long-running preoccupation with an overgrown future London. There's borrowed imagery from Ballard's The Drowned World - tropical ruins and such like - beneath which Foxx models a sort of memoir; bearing witness to an unremitting hunger for innovation spanning a 30-year career: "I will always return to this place / for a glimpse / for a trace" he testifies "ever changing / ever new / ever restless / ever true" - the life and times of The Quiet Man, an artist perennially "overlooked and never seen / ever lost / never found" but "forever evergreen". Then comes 'Watching The Building On Fire'. An expertly composed Ballardian allegory, John and his robotic gamine (Ladytron's Mira Aroyo) scour the landscape. They see a man fall 1000 miles away, plunging from a flaming 1000-storey building located "at the edge of today". Helplessly they relive the scene endlessly - across "a million lifetimes" - both hypnotised and tortured, always crashing in the same car. Again and again the man falls, with the duo paralysed within the looping memory. There's a vaguely soporific air, a future daze - unshakable no matter how immediate the song in question. The vague suggestion is that actually it's the duo that die in the fire: "sometimes you find out too late" intones Fox, while in the breakdown Aroyo whispers "Looking out from this window / over all the streets / shadows far below us / moving like a sea.". You can assume she jumps. The track fades out into infinity with the duo trapped for eternity. Not until then do you consider the 9/11 connection. Like with the "building on fire" the images of that day - the blue sky and grey plume – will be relived in pixels long after we are dead. It's an unforgettable collaboration – weirdo, sublime pop - and a serious thrill for acolytes of the genre. Led by a voyaging Kraftwerkian rhythm, 'Summerland' is a gentle preamble to electro kiss-off 'The Running Man', featuring 'real' bass and guitar that propel the song towards a slightly hostile climax. Next up is a dose of ethereal darkwave in the shape of 'Falling Star'. Listening to the naif preset rhythm and snow-pure synths, you can sense how far the countless years of reinvention have taken Foxx from his lowly beginnings. A contender for 'the big single', the cyber-gothic 'Destination' - with its big ululating synth riff a la 'Plaza' and super-massive chorus - is Foxx at his most straight-forwardly epic since The Garden. To finish, the sombre Roedelius-esque 'The Good Shadow' hangs tenderly in a far-off firmament. Foxx's voice is fading, merging with the white background. "I'll always be with you" he reassures, retreating into the great beyond, "every day / every day". You can bet it'll be an emotional experience for the long-time fans. Somewhat comfortingly, somewhat tragically and in a super-chic acceptance of self, Foxx promises himself to the shadows, where he will drift the sacred geometry of the city, of all cities, for all time, as was always his 'destination'. Time is a modern concern after all, and age is only a state of mind. A decade of copyists – from La Roux to Led Er Est - are wiped off the map: they should very well bow and curtsy at the feet of the man. Nearly every year the 58-year old finds time between lectures to upload another vessel from his ever-flaring mind, so doubtlessly this won't be the last we hear of John Foxx, but Interplay is such a perfect summation of his career that a more poetic and poignant full stop to his grand adventure would be very hard to imagine.